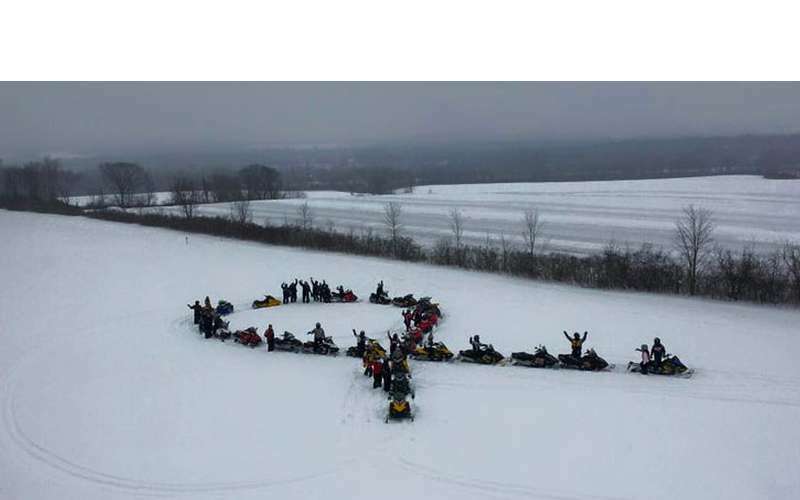 Snowmobilers riding for a cure! On Saturday, February 9th don't miss the 11th Annual Purple Ribbon Cancer Ride. Join The Boar's Nest for a group ride in honor of or in memory of a loved one. No registration fee. Donations will be accepted and are appreciated. Food and drink will be the rider's personal responsibility. Visit www.purpleribboncancerride.com for more information.